​Indian Investor Who lost Rs. 650 Crore by Investing in Property? In the latest Interview of Mr. Rakesh Jhunjhunwala is popularly known as Indian Warran Buffet, with Forbes magazine, the following interesting point I derived out of it. Rakesh, aged 54, is worth $1.86 billion (Rs.11, 346 Crore @ 1 USD = Rs. 61). This entire Rs.11, 346 Crore has been built during last 3 decades through investing in Indian equity market, clearly shows how big equity market is either one give time or get advice from the financial advisor to get the best return. Though he also trades at times, most part of his wealth has come from investing in high quality companies for long term and sticking on to this even the intermittent falls. Conviction is more important, than what we know about anything! 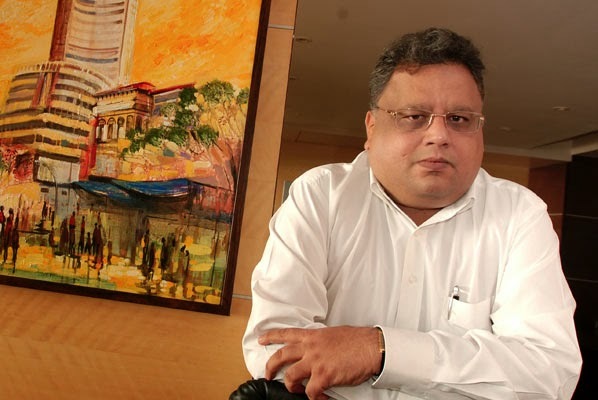 Jhunjhunwala plans to give away Rs 5,000 Crore or 25 percent of his total wealth, whichever is lower, to philanthropy when he turns 60 on July 5, 2020. And Jhunjhunwala’s track record would validate the ​chances of both targets comfortably. In the recent past, we keep reading so many Indians are turn to philanthropy and donating multiple Crore of rupees. All of them are selling their equity share and none of them are coming from real estate builder or gold merchant as far as I read. Equity investors are not only creating huge wealth for themselves, and also passing so much of wealth to the society. For a time being, please forget about passing wealth to charity; let us make money for ourselves by understanding.